The academic interests of Dr Chu focus in gene functions in various eye diseases as well as developing novel treatments for these diseases. Dr Chu’s earlier work established molecular roles for helicases BLM and FBH1 in preserving genome stability. Dr Chu’s work is supported by the National Natural Science Foundation of China (NSFC), the Innovation and Technology Fund (ITF) of Hong Kong and several CUHK internal grants. Dr Chu is currently a journal editor of Hong Kong Journal of Ophthalmology. He was also a former journal editor of Disease Markers. He also serves as reviewers of multiple journals such as Scientific Reports, Oncotarget, British Journal of Ophthalmology, Experimental Eye Research and American Journal of Ophthalmology Case Reports. Dr Chu served as the international advisory committee of the ARVO-Asia Annual Meeting in 2017. 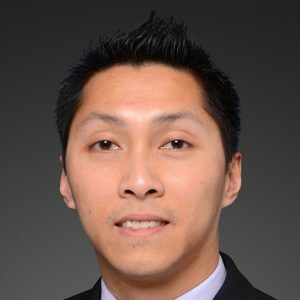 Dr Chu is also an active member of Asia Pacific Academy of Ophthalmology (APAO) and served as the Secretary of the Visual Sciences Program of the 31st and 33rd APAO Annual Congress in 2016 and 2018 respectively. Ocular inflammation: Uveitis is a group of diseases characterized by intraocular inflammation. I am currently developing novel treatments for uveitis. Thyroid-associated orbitopathy (TAO): Patients with TAO have expanded fibrotic orbital tissues. If left untreated, TAO would lead to double vision and optic nerve compression. I am studying the disease mechanisms of TAO. Mitotic defects in eye diseases: Mitosis is a cell cycle stage that chromosomes in a nucleus are separated into two daughter nuclei. Defective mitosis would lead to genome instability. I am studying how mitotic defects lead to eye diseases. Retinoblastoma: Retinoblastoma cells have lower levels of apoptotic cell death. I am exploring pathways that could induce apoptosis to restrict the uncontrolled cell growth in retinoblastoma. Pterygium: Pterygium is an abnormally growing tissue invading onto the cornea. I am investigating the pathophysiological mechanisms of pterygium development. Glaucoma: Elevated intraocular pressure (IOP) is a major risk factor for glaucoma. I am studying the causes and consequences of the IOP elevation. Regulation of apoptosis in retinoblastoma. Novel treatments for autoimmune-related uveitis. Genetic basis of corneal opacity. Disease mechanisms of thyroid-associated orbitopathy. We recently identified inhibiting a growth hormone pathway can restrict the cell growth of retinoblastoma. Severe forms of retinoblastoma usually involve eyeball removal. Our recent findings open a door to alternative treatments for retinoblastoma, which could hopefully preserve the visions. Our research team recently developed an animal model to study autoimmune inflammation in eyes. This model system shows similar disease outcome to human uveitis. We are using this model system to screen potential reagents that could be developed into uveitis treatment. There is a family with multiple members showing corneal opacity. By studying the DNA mutations, we found that all the affected members share the same DNA mutation in a gene that is important to genome stability. We aim to characterize the gene functions in order to understand the disease mechanism of corneal opacity. Our study in pterygium identified the disease mechanism is related to protein mislocalization. We further developed a novel treatment to specifically target the pterygium with minimal effects on other normal corneal tissues. We aim to evaluate the clinical values of this novel treatment. Cao, D., Ng, T. K., Yip, Y. W. Y., Young, A. L., Pang, C. P., Chu WK. and Jhanji, V. (2018) p53 inhibition by MDM2 in human pterygium. Experimental Eye Research, 175, 142. Zhang, B. N., Venegas, A. B., Hickson, I. D. and Chu, WK. (2018) DNA replication stress and its impact on chromosome segregation and tumorigenesis. Seminars in Cancer Biology. Wong, J. S. C., Chu, W.K., Li, B. F., Pang, C. P. and Chong, K. K. L. (2018) Depot-specific characteristics of adipose tissue-derived stromal cells in thyroid-associated orbitopathy. British Journal of Ophthalmology. Cao, D., Chu, W.K., Ng, T. K., Yip, Y. W. Y., Young, A. L., Pang, C. P. and Jhanji, V. (2018) Cellular Proliferation and Migration of Human Pterygium Cells: Mitomycin Versus Small-Molecule Inhibitors. Cornea, 37, 760. Li, J., Ren, J., Yip, Y. W. Y., Zhang, X., Chu, K. O., Ng, T. K., Chan, S. O., Pang, C. P. and Chu , W.K. (2017) Quantitative Characterization of Autoimmune Uveoretinitis in an Experimental Mouse Model. Investigative Ophthalmology & Visual Science, 58, 4193. Chu, W.K., Law, K. S., Chan, S. O., Yam, J. C. S., Chen, L. J., Zhang, H., Cheung, H. S., Block, N. L., Schally, A. V. and Pang, C. P. (2016) Antagonists of growth hormone-releasing hormone receptor induce apoptosis specifically in retinoblastoma cells. Proceedings of the National Academy of Sciences of the United States of America, 113, 14396. Chu, WK, Payne, M.J., Beli, P., Hanada, K., Choudhary, C. and Hickson, I.D. (2015) FBH1 influences replication-associated homologous recombination through ubiquitylation of RAD51. Nature Communications, 6, 5931. Ying, S., Minocherhomji, S., Chan, K.L., Palmai-Pallag, T., Chu, W.K., Wass, T., Mankouri, H.W., Liu, Y. and Hickson, I.D. (2013) MUS81 promotes common fragile site expression. Nature Cell Biology, 15, 1001. Chu, W.K., Hanada, K., Kanaar, R. and Hickson, I.D. (2010) BLM has early and late functions in homologous recombination repair in mouse embryonic stem cells. Oncogene, 29, 4705-14. Chu, W.K. and Hickson, I.D. (2009) RecQ helicases: multifunctional genome caretakers. Nature Reviews Cancer, 9, 644-654.